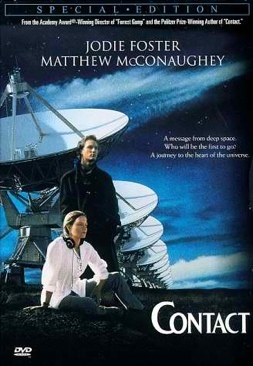 Dr. Eleanor Arroway has spent her life searching for truth in the study of radio astronomy. Palmer Joss has spent his searching for truth through faith in God. When Ellie discovers a stunning message from an extraterrestrial intelligence, they and everyone on Earth will be forced to challenge their own assumptions. In the inevitable first contact, will humankind be able to find a compromise between science and belief?